Air Vanuatu CEO Derek Nice made the announcement this week at an event attended by Prime Minister Charlot Salwai and several other ministers, along with industry stakeholders and members of the diplomatic community. This will be the only direct air service between the two cities. Subject to regulatory approval, the service will be code-shared with Qantas. This would make it more convenient for Australian travellers to book their flights, and provide more visibility for the new service. Multiple stakeholders reiterated that Air Vanuatu’s first priority is providing more and better service to the region, expanded service could reach as far as East Asia and the western United States. Nice suggested that his airline is already exploring the possibility of aviation service agreements in both areas. With a population of nearly 5 million, Melbourne is the second most populous city in Oceania, after Sydney. “The launch of this new route will be particularly exciting for people living in Melbourne who have already discovered the wonders of Vanuatu and can’t wait to come back. They can travel non-stop, on conveniently timed flights, giving them more time in our island paradise.” said Nice. That’s only a slight exaggeration. 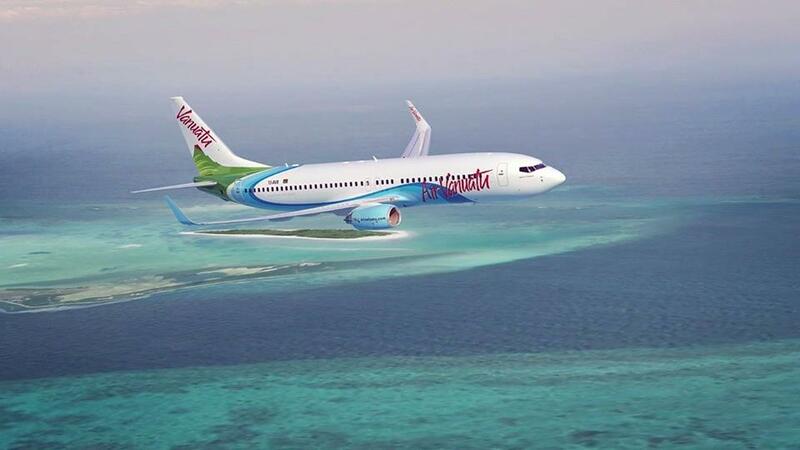 An Air Vanuatu press release states that when operations commence, flights will depart Melbourne at 07:00 local time on Tuesdays, Thursdays and Saturdays. They will arrive in Port Vila at 12.30, with a flight time of just over 4 hours. The return flight will depart Port Vila at 16.15 on Mondays, Wednesdays and Fridays, arriving in Melbourne at 20:15. The airline is accepting bookings immediately. Air Vanuatu is offering a special fare of AUD$649 (VT45,000) per person for a return ticket between Melbourne and Port Vila. This applies to flights from June 17 to December 31 2019. Special rates are also offered on the Auckland route. Air Vanuatu is offering tickets NZ$556 per person for a return flight between Auckland and Port Vila when booking until 28 February 2019 for travel between 01 April and 16 June 2019. This announcement is the first substantial commitment in what the government of Vanuatu is calling the Shared Vision 2030. Vanuatu Tourism Office CEO Adela Issachar Aru also presented at the event, announcing that the VTO would be conducting a targeted marketing campaign aimed exclusively at a Melbourne audience, to try to induce more interest among Victorians in Vanuatu as a destination. Asked by the Daily Post about the cost and logistical effort required to obtain the aircraft needed for a massively expanded service, Nice was firm on the airline’s capability, but provided few specifics. He did say that he felt the aviation finance establishment would look favourably on them, but declined to confirm or deny that the government would be backstopping the airline’s finances. In his closing comments, Prime Minister Charlot Salwai insisted that Air Vanuatu had to learn to manage its business responsibly. “I don’t want you to keep coming back to us for bailouts,” he said, citing about US$13 million in payouts in the last few years alone. The assembled ministers and political advisors asked numerous probing questions at the gathering. The most contentious was the frequency and affordability of domestic flights. Nice defended the airline, saying that its aging fleet was less efficient and less reliable than the proposed replacement fleet. On Tuesday the Daily Post reported that Air Vanuatu was aiming to acquire 5 small-capacity aircraft for domestic service, most likely Cessna C208s. The existing Britten Islander for example, said Nice, was only capable of 50 hours of flight per month, because of its condition. A new plane with modern avionics, he said, would be capable of flying 150 hours per month. As a result, he argued, ticket prices would necessarily come down, and consumers would in some cases be able to choose between multiple daily flights.